FOR INTERNATIONAL GUYS WHO IS LIVING in JAPAN. 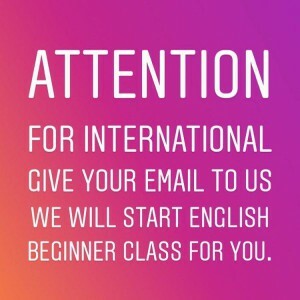 WE WILL START ENGLISH BEGINNER CLASS FOR YOU. Don’t worry if you don’t speak english. This class is using only english. We are always welcome to new students. We will start lesson the class of 6 people or more.